vintrace now supports currency symbols such as £, €, ¥, etc. The system displays the local currency symbol based on your selected country. This is set by the vintrace system administrator on your initial database setup. 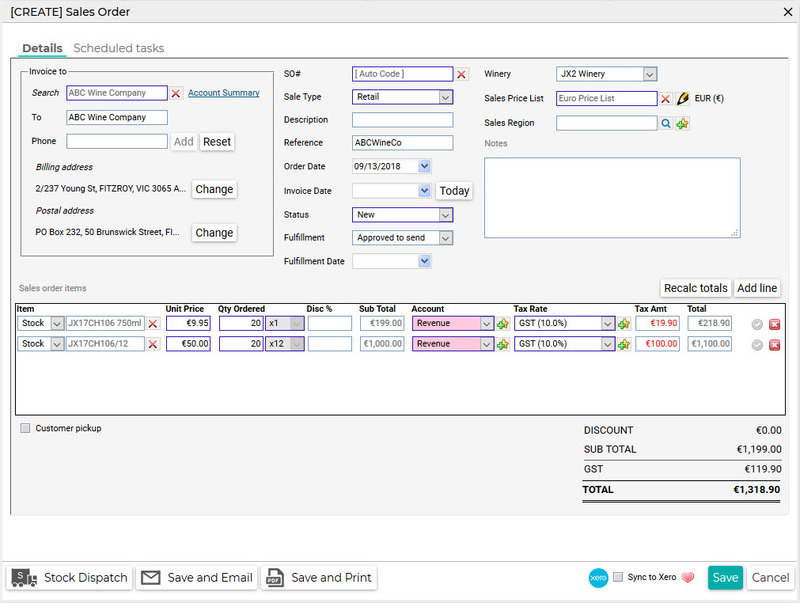 You can also use different currencies in your Sales orders by setting up a Price list specific to the currency you want. For example, your local currency is the Australian dollar and you want to enter a Sales order in Euros. Create a sales price list from Winery Setup > Sales > Sales Price lists. 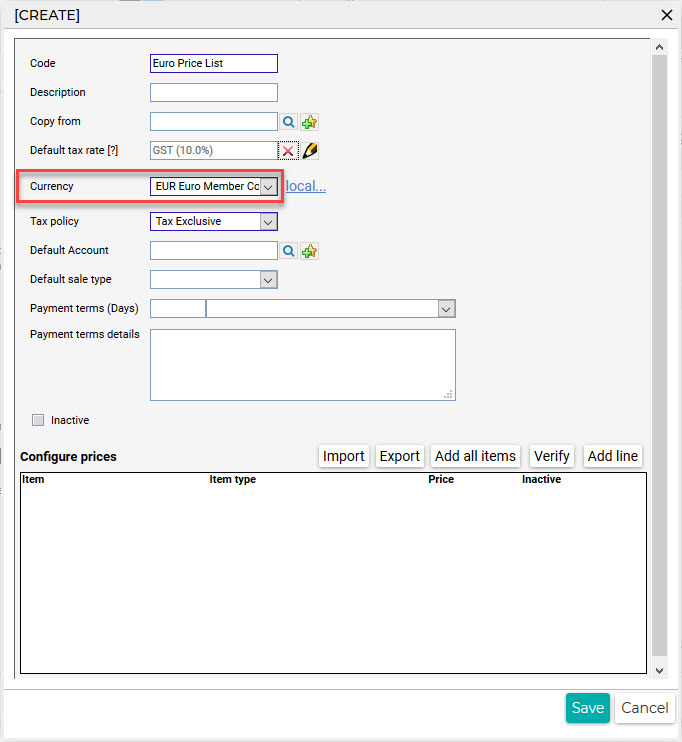 Set the Currency to EUR and enter other mandatory fields such as Code and Tax policy. 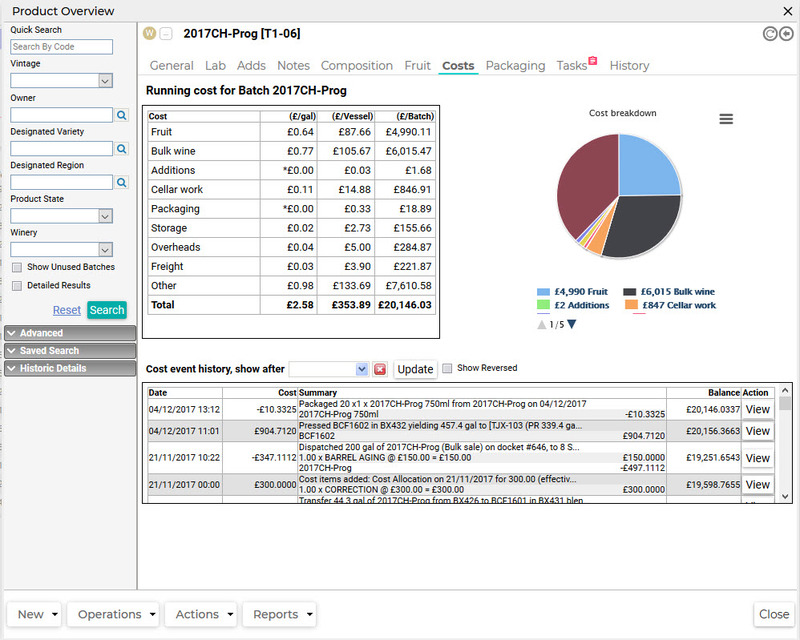 Create a Sales order and select the Price list you created in previous step. All the currencies in the Sales order are set to Euros. 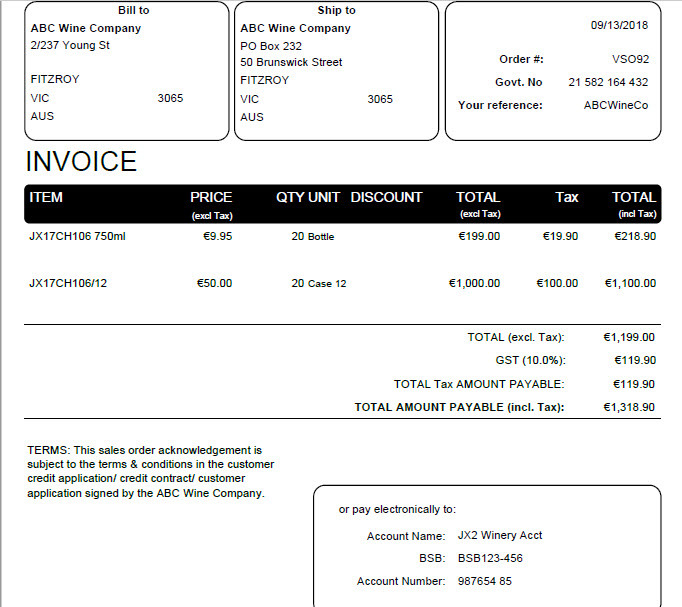 The Invoice for the Sales order is also in Euros.